Our perpetual quest for meaning, art and living new experiences continues to push new levels of creativity. We are all part of a chaotic yet harmonious ensemble we call life. Cars zipping through intersections and pedestrians aggressively walking to diverse destinations are just two examples of movements that create consonance or dissonance to our daily lives. The intervals of everyday life, walking to the subway, driving to work or flying to a far destination create harmonies like instruments, composing our complex society. Quiet Ensemble seeks to compose sounds out of the most casual movements of the "invisible concerts" of everyday life. Utilizing technology to capture, express and translate our most natural of routines, Quiet Ensemble builds narratives that explore not only the music of our lives but also conceptual relationships between the natural and built environment. 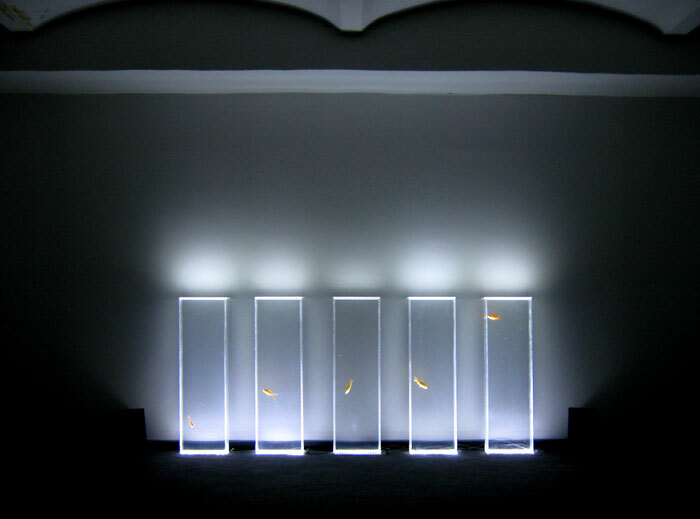 Quintetto is an installation based on the study of the casual movement of fish used as input for the production of sounds. 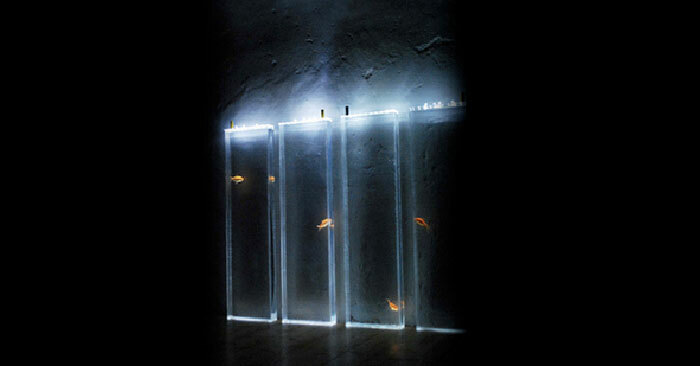 The piece is composed of 5 vertical aquariums holding a fish in each as a video camera records its movements which are then translated into sounds through a computer software. 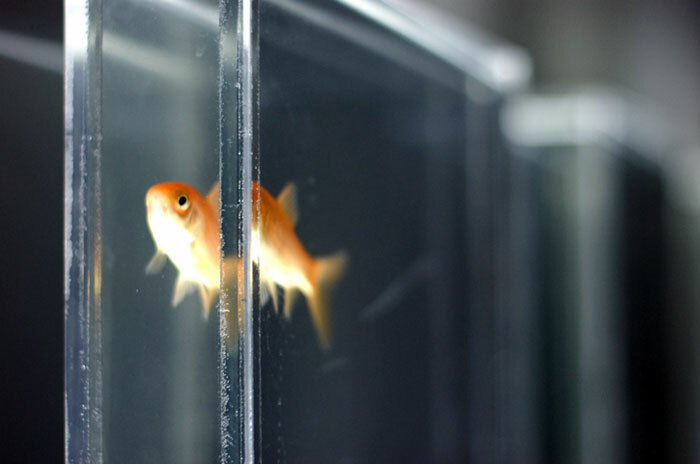 As the fish moves casually up and down through the aquarium, the movements are captured into digital sounds signals. 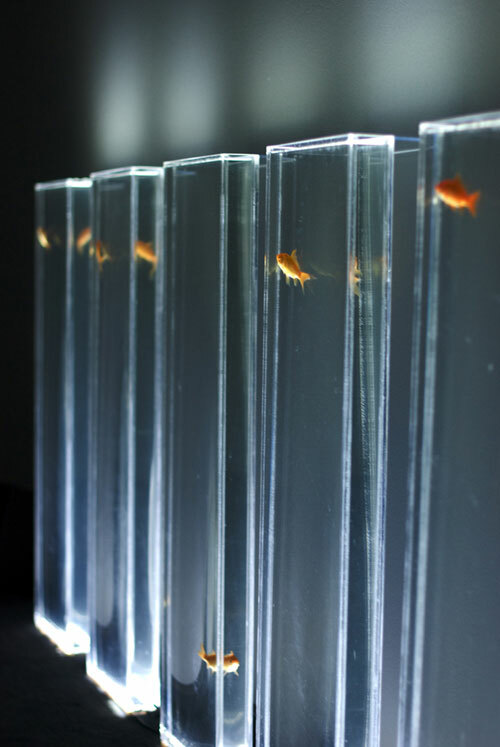 With 5 different instruments the fish become the conductors of a live concert. The installation gives us the opportunity to be part of the concert, as we witness the live performance of nature and enjoy the sound that it produces. Quiet Ensemble makes me wonder what my own life sounds like; or even the sounds of a New York City intersection or the movements of a school of fish. Could we be heading towards an era of natural concerts? 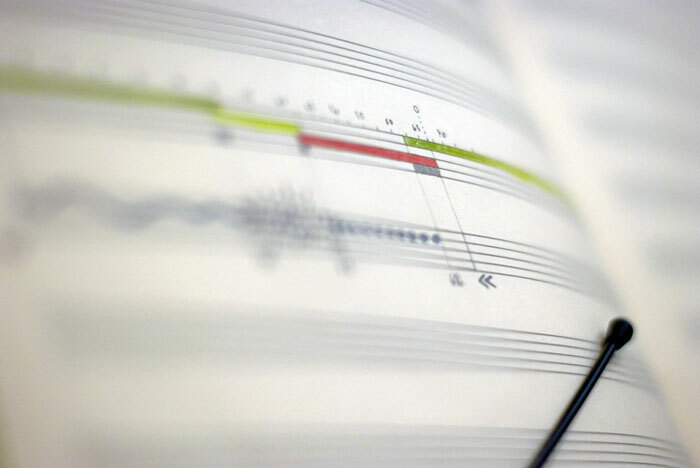 Could we learn more about life through its sounds? Quintetto won third prize at the "International Contemporary Art Prize - Celesteprize" in Berlin. Quiet Ensemble was founded by Fabio Di Salvo and Bernardo Vercelli in 2009. Their diverse and expressive experiences in interactive video and set design merge to create contemporary installations. Their interventions field parallels and tangents of musical creativity and artistic experimentation.